A scale ice plant with screw discharger. 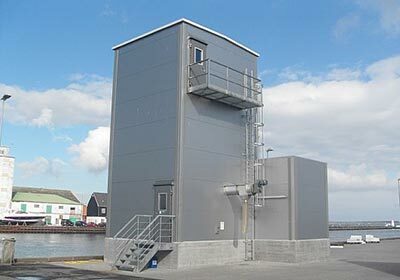 The project Kerteminde Isværk started when the chairman of Kerteminde Fisheries Society, Søren Boll Clausen, contacted Hvide Sande Skibssmedie A/S to learn about the possibilities of an ice factory for the Kerteminde Harbour. 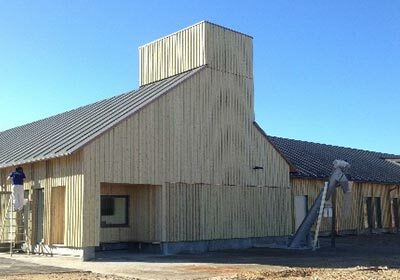 Hvide Sande Skibssmedie A/S, with more than three decades of experience in the design and construction of ice works at home and abroad, examined the needs, wants and requirements for an ice plant. 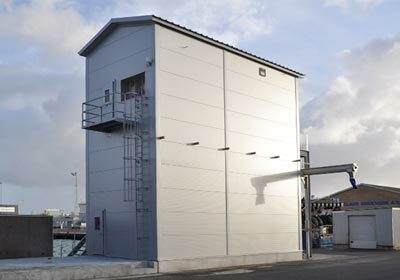 It soon became clear that the harbour needed a plant with a small storage capacity but with high production capacity, to fill the storage quickly, if needed. A plant of the IceScrew type is best suited for this purpose. 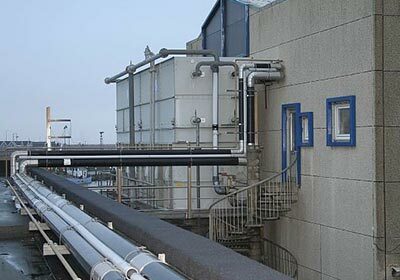 The system has on base with a screw discharger which provides a balanced supply of the lower ice in the silo. The Kerteminde Ice plant has three floors. The compressors provide the cooling for ice production and the storage silo. 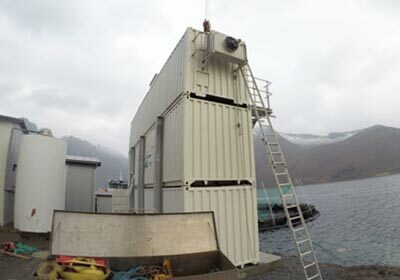 The system is also coupled with a separate cold storage in a separate building, which is used to store fish, before it is brought to the auction.